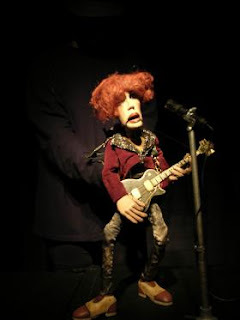 One of the city’s most entertaining and colorful festivals, the International Puppet Festival, will start Wednesday with the Greek group Antamapantahoy’s “The String of Music” at Kenter Theater. The 14th rediiton of the festival will continue until May 11 and feature talented puppet enthusiasts from across the world. The art director of the festival is Cengiz Özek. As well as puppet shows, the festival will also feature exhibitions and film screenings. Significant puppet theaters from Germany, the United States, France, Indonesia, the Netherlands, Norway, Sweden, Italy, Spain, Austria, Slovenia and Turkey will take the stage during the festival. The 14th International Istanbul Puppet Festival, supported by the French Culture Center, Cervantes Culture Center, Dutch Consul General in Istanbul, Austria Cultural Office, Italian Culture Center, Pera Museum, Ümraniye Meydan AVM and Kukla Istanbul, will meet audiences at these venues as well as Kenter Theater, Sefaköy and Halkalı Culture Center, Kozyatağı Culture Center, State Theaters Küçük Sahne and Yunus Emre Culture Center. Tickets for the event are available at Biletix, State Theater Cevahir Stage and Küçük Sahne, Istanbul Subway Taksim entrance exhibition hall. Ticket prices are 15 to 20 Turkish Liras. For further info please visit www.istanbulkuklafestivali.com.